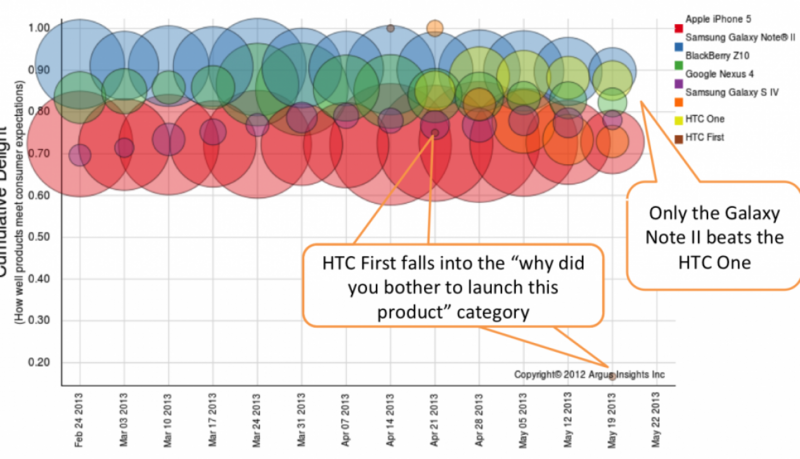 There’s been a lot of traffic about the HTC One, how HTC is ramping production. Wired’s latest issue even includes a sidebar on this latest smackdown between Apple’s iPhone and “insert name possible contender into blank here” handset. 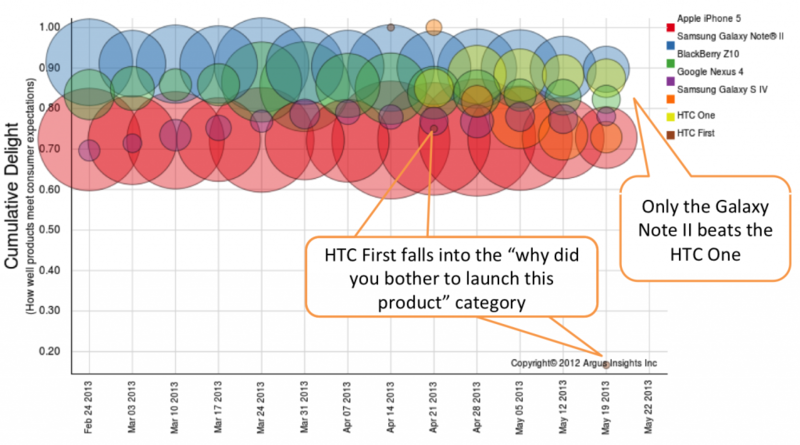 With all the focus on the Galaxy S4 “failure to launch” (think crashing rocket more than Terry Bradshaw’s derrier) it was easy to miss the triumphant return of HTC to the market. The HTC One is now the top rated smartphone launched in the past three months. Only the aging Galaxy Note II is viewed as a more delightful experience. Given the failure of the so-called Facebook phone to delight the market along with the fizzle of the Galaxy S4, brand is not enough for consumers, the product has to deliver on the promise of the brand story. So the question is, will Apple’s next entrant into the smartphone battle for hearts and minds deliver a compelling new experience like the One or technical gimics that fade quickly like the Galaxy S4? Sign up to be the first to know this an other shifts in the ecosystem from the mouths of consumers, not experts, when we launch the Argus Insights Smartphone Voice of the Market Demand Report… And we promise to make the title shorter. 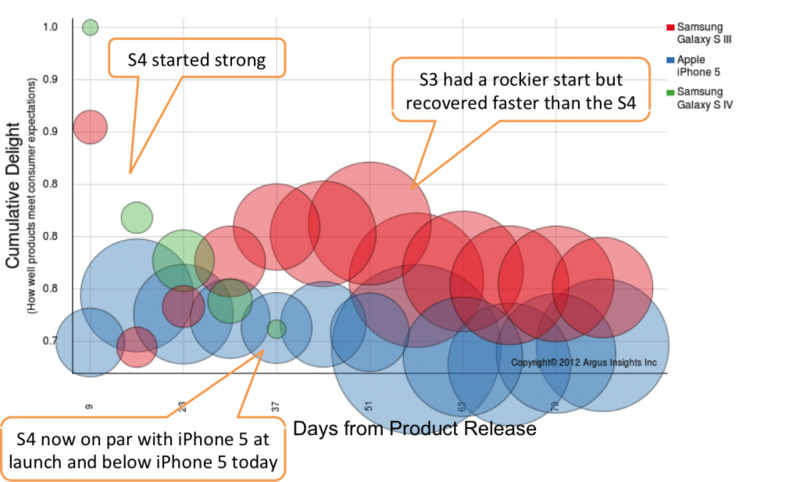 There’s a problem in social media analytics today. Spam. 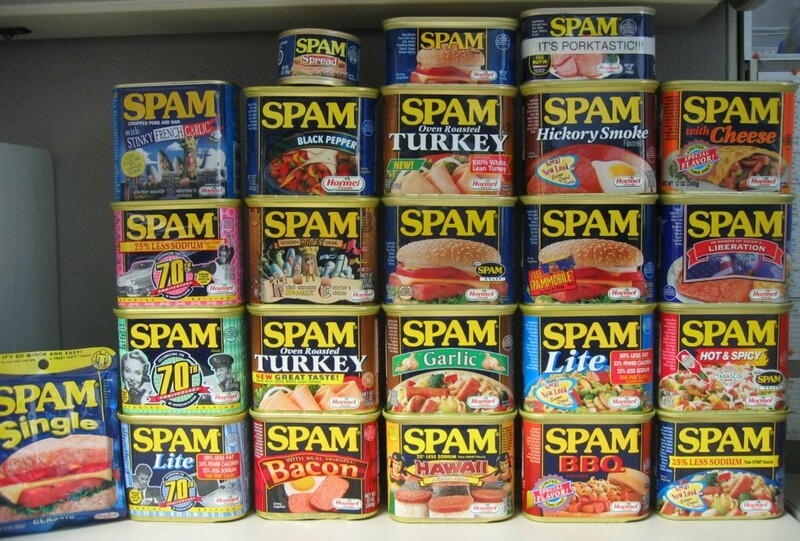 Spam in more flavors and varieties than even Hormel has produced to satisfy the crazed cravings of the market. The first type of spam we see is classic ecommerce ads. Acer Laptop replacement batteries, iPhone 4 cases, Kindle Fire starter, you name it. We did a brand audit of Best Buy in August 2012 and found that over 30% of all Best Buy mentions contained links to Amazon.com. Right before the holidays, Facebook users became party to one of the single largest ecommerce spam campaigns we’ve seen in our customer work. Amazon Affiliate Bob Douplein, or an agent acting on his behalf, found a way to post the entire Amazon.com product catalogue on millions of public Facebook profiles, over 14.4 million according to Google. This had a huge impact on accurately tracking brand perception by users for our customers for such obvious spam, but Bob’s Page Rank improved. Tactics like this emerge faster than Facebook or Twitter can respond which means bad data leaks into everyone’s social streams. This is part of the reason we don’t charge our customers per mention like the other guys but instead go for broad terms and help narrow to what’s really consumers and what’s not. 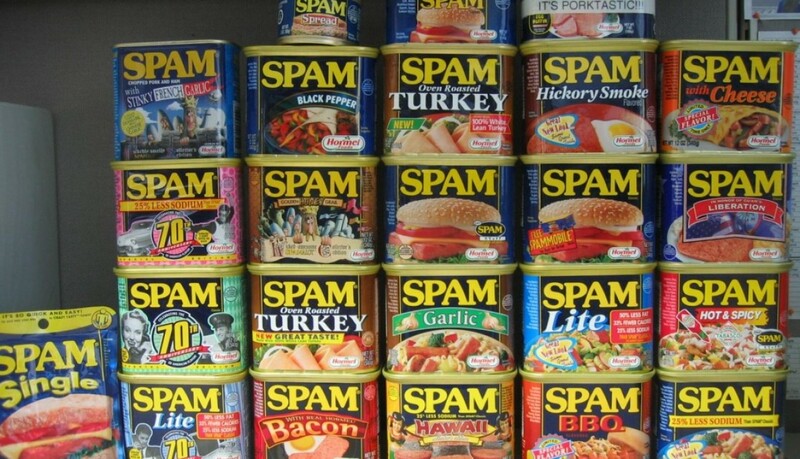 Social Media offers more varieties of Spam than even Hormel! The second type of spam we’re seeing more and more are Twitter Bots and the family tree for this branch of spam is getting more and more diverse as the bot makers get more creative. The first bots we were seeing were retweet bots, types that searched the twittersphere for content related to either keywords or specific authors and then just blindly retweet. 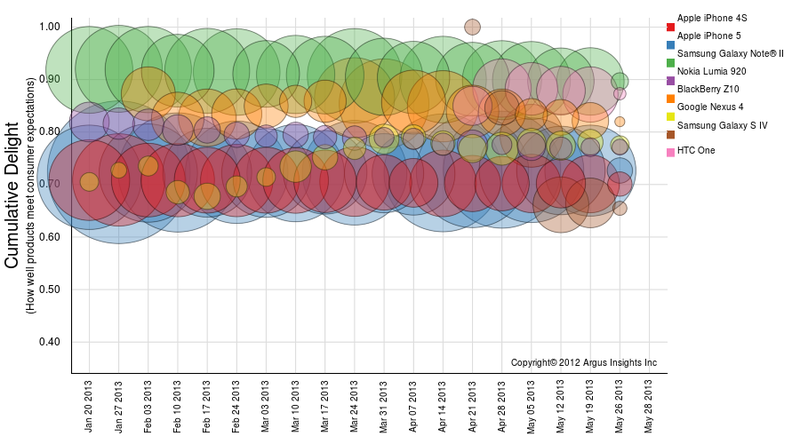 The number of @engadget, @verge, @mashable retweet bots just boggles the mind. Some articles are legitimately retweeted by actual humans that like the piece and want to share it out but more are bot driven. 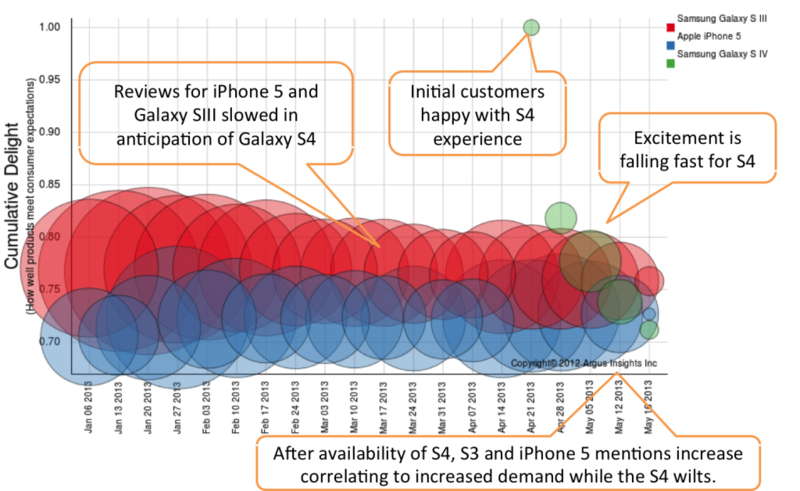 These bots are mostly benign and help drive awareness for mostly interesting content. A second type of twitter bot we’ve seen are those masquerading as real people. They typically have few followers but somehow manage to tweet every 5-15 seconds, and in multiple languages! Sure I might speak English, a bit of Japanese and my native Arkansan but these are twitter users that routinely tweet in Indonesian, Japanese, Arabic, Portuguese, English and French on the same day! What’s even more insidious about these tweets is that they are shared across a network of bots which means the individual tweets are copied across multiple accounts in pseudo random ways to spread the message broader. I could go on but I’ll wait for another post to do so. The third act is what we’re doing about the spam in social media. We’re slowly building our arsenal of spam detectors to separate the wheat from the chaff, and ensuring our clients have the purest feeds of their consumers to base their decisions. What type of spam have you been fighting in social? Together we can make social media represent the true Voice of Market rather than a precursor to SkyNet.